​Make Your Bearded Dragon Eat Greens Within 7 Days! The Real reason Why your bearded dragon is not eating greens! 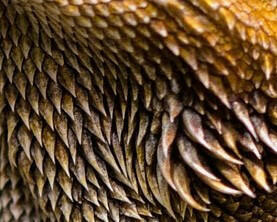 Most people think that bearded dragons are just picky, but that´s not the truth! Beardies eat almost everything in the wild. Tips and tricks. I show you several methods how you can make your bearded dragon eat its veggies. My Surefire way to make a beardie eat greens within 1 week! I outline the exact steps I take to make a bearded dragon eat greens quickly. "Thank you so much for helping me with Smaug´s diet. The meal plan is absolutely awesome. My Baby smaug is so active now and it seems like the workouts you suggested are starting to pay off as well. Especially the tricks to get him to eat veggies were great." How To Ensure That Your Bearded Dragon Stays Healthy! Most bearded dragon keepers worry about their bearded dragon all the time and all they want is that their bearded dragon is happy and healthy. A bearded dragon that is refusing to eat greens will eventually suffer from health problems. This ebook will show you how to avoid that! The Surefire Way To Make Your Beardie Eat Greens! 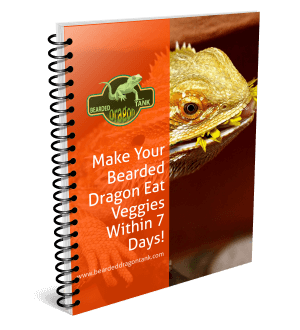 In this ebook I do not only show you several methods that will help you to get your bearded dragon to eat greens, I also show you my personal step-by-step process to get any bearded dragon to eat its veggies. Bonus: Bearded Dragon Veggie Food List! You are wondering what greens you can feed your bearded dragon? This list contains 48 foods that you can feed your bearded dragon unhesitatingly! Get my personal help! Yes, you read right. I will check on you one week after the purchase and I will help you if you have any questions or problems. I keep reptiles since over 10 years. I made a lot of mistakes as a beginner which ended very painful. I want to make sure that this doesn´t happen to other reptile owners. I want you and your bearded dragon to be happy! That´s why I created www.BeardedDragonTank.com. This website already helped hundreds of thousands of people who love reptiles as much as I do. “Thank you so much for your help. At the beginning I was so worried about my Garona, but after you helped me I feel much more confident that I keep her correctly. Thanks for answering all my questions, too." How To Make Your Bearded Dragon Eat Greens Within 7 Days! Stop worrying about your beardie - Start acting! A big part of making sure that your bearded dragon stays healthy is feeding properly. Don´t make that horrible mistake to believe that it is okay if your beardie only eats meat. A beardie needs veggies!